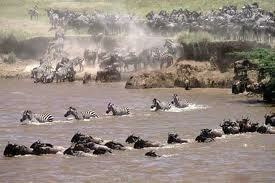 LETS GO TRAVEL KENYA (SAFARIS): Here comes the Wildebeest Migration! Masai Mara is arguably the world's most known game reserve, with numerous implausible wildlife documentaries filmed there, such as the Big Cat Diary or movies such as the most recently filmed Disney African Cats. 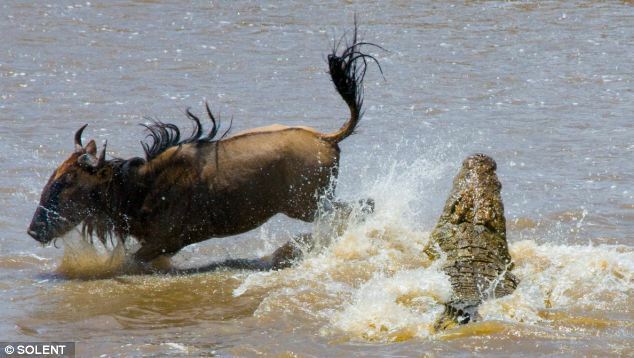 Masai Mara is also known as a top choice holiday destination for anyone wanting to spend their holidays in Kenya, especially after the game reserve was named a world wonder due to its astonishing annual Wildebeest Migration! Each year thousands and thousands of Wildebeest cross the Mara river into the Mara game reserve, from Tanzania's Serengeti park. This makes for a spectacular experience, nicknamed the "greatest show on earth" and is a must see for anyone on an east Africa safari. The herds enter the Mara from the west and gather on the plains for a few months until the rains break on the southern plains of the Serengeti in December, when they return south. 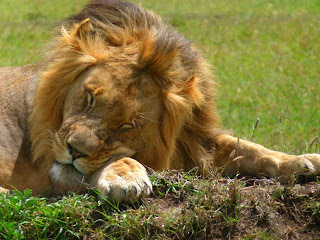 The exceptional game viewing, the short grass, the huge lion population are all among the many contributory factors that make the Masai Mara in Kenya such a popular East Africa safari destination that entices people from all over the world to visit Kenya and witness this astounding "show"! Each year the migration creates a buzz with lodges and camps all located in the park keeping everyone abreast of where the wildebeest are and where they are moving. This creates excitement that undoubtedly reminds me of a wedding scenario, where the wildebeest replace the bride and all we hear is people echoing; Here comes the migration!